To pursue our dream to live a free, secured and prosperous life, we migrated to USA in 1985 with our son John. Soon after, our daughter Zina was born. Today, we are the proud Grand Parents of Adrien and Presley from Daughter- in-law Jacklyn. 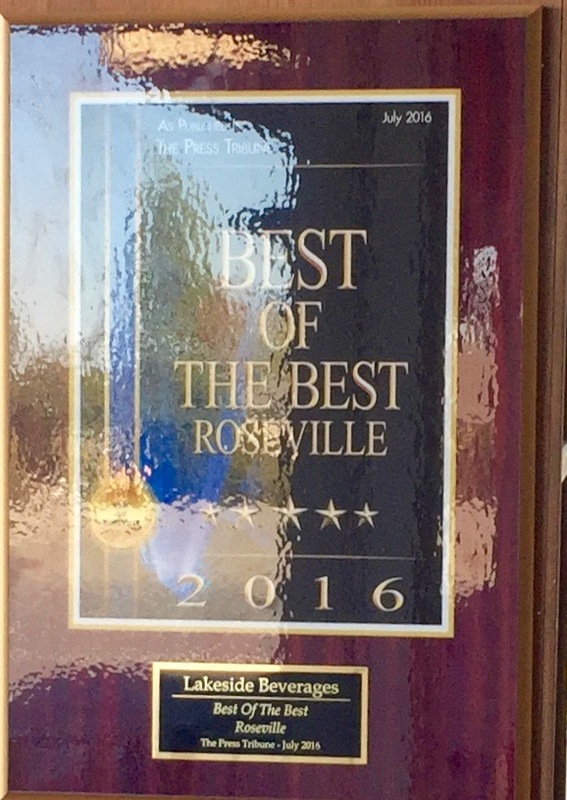 In 1992, we opened our first Wine and Spirits Store in Carmichael, California, followed by a Travel Agency. 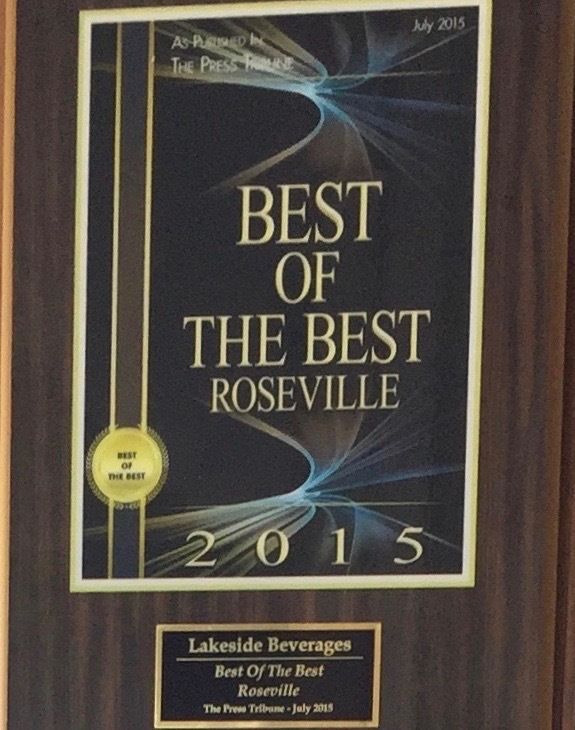 In 1997 Lakeside Beverages was born. As our passion for fine wines grew, in 2007 we purchased Work Vineyard in Calistoga, Napa Valley. We are delighted to share what we believe to be our three pillars of success - Family Values, Kindness and Appreciation. 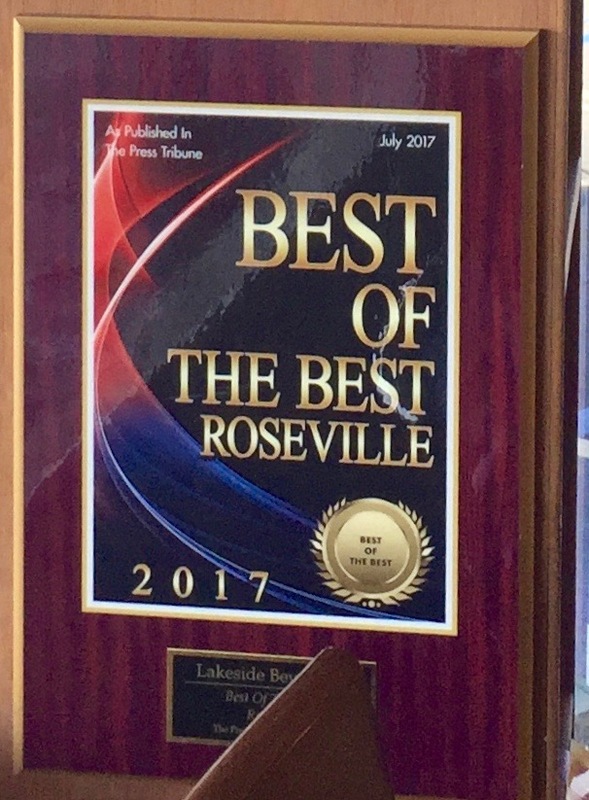 Over the years, we have been called upon by many businesses, social, and political organizations to organize wine tasting events for their clients. 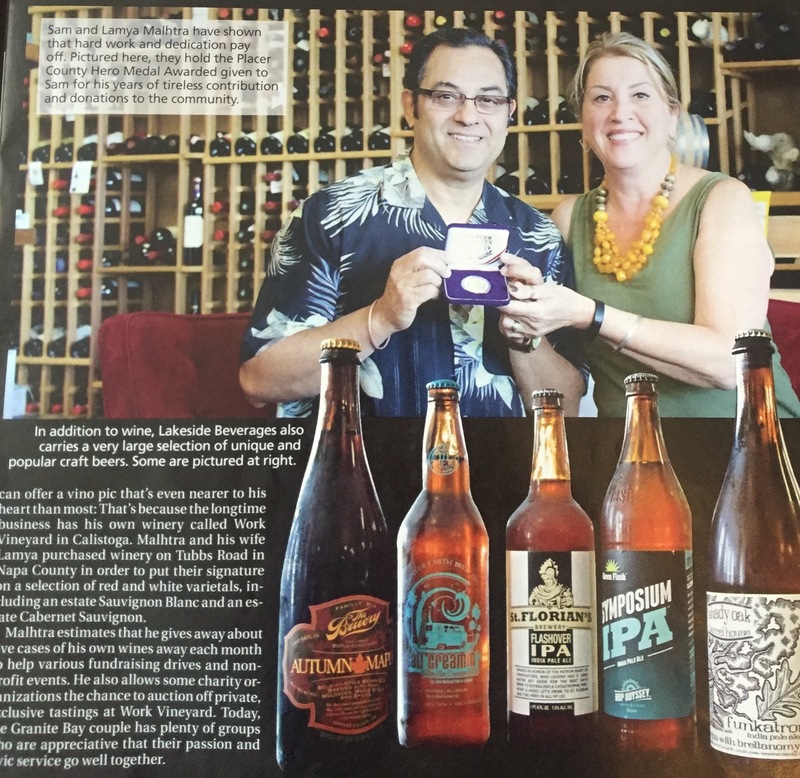 We strive hard to give back to the community who supports our livelihood. We always find time to donate resources to help organize fund raisers for the local Schools, Hospitals, Fire, Law Enforcement and most of the major National Charity Organizations like American Heart Association, Cancer Society, Red Cross, Child abuse prevention, Blood Source, CASA, Big Brothers Big Sisters, and Prevention of Cruelty to Animals to name a few. 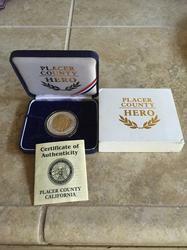 In recognition, Sam was honored by the Placer County Board of Supervisors to be one of the recipients of the Heroes Award. 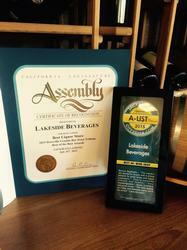 Lakeside Beverages has also received many other awards for Best of the Best Beverages Store. 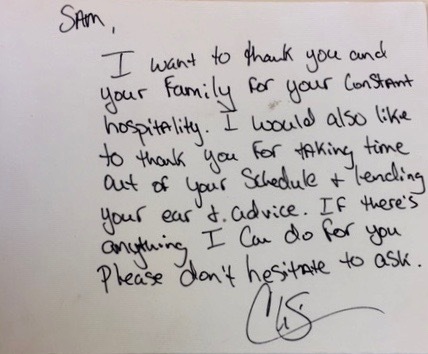 Also recieved, personal notes such as the one below from our former NBA-Sacramento kings Basket Ball player Chris Weber. We invite you to please visit our Establishment and give us a chance to serve all your Beverages need.